There’s only a handful of countries known for building cars. Most of them are in Europe or the Far East. Colonel Muammar Gaddafi wants to add Libya to that list, and this is what he’s cooked up to do it. Called the Libyan Rocket, the car was designed to solve the problem of high instance of road deaths in the north African country. 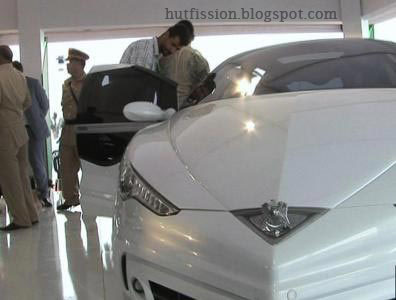 Gaddafi’s people say it’s the safest car ever made, but don’t go into any details to back up the claim. Still, the Colonel’s revolutionary government is building a plant in Tripoli to put it together. 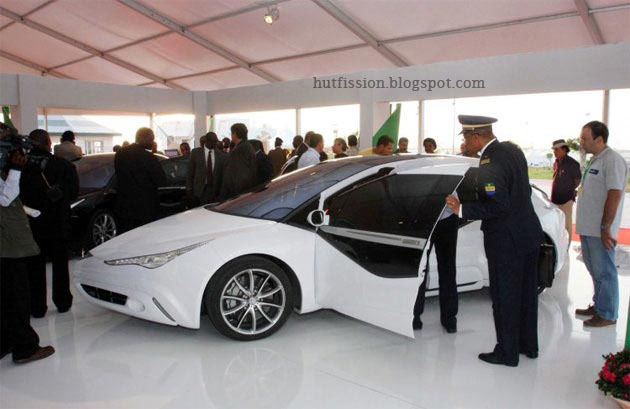 Gaddafi’s car seats five, has a 230-hp V6 and the nose and tail of a rocket. The Libyan Rocket does come with airbags, an electronic defences system and collapsible bumpers that supposedly help out in a crash. So what is the “electronic defence system”? Apparently, nobody knows what it is or how it works. So even the secret is safe with this car! 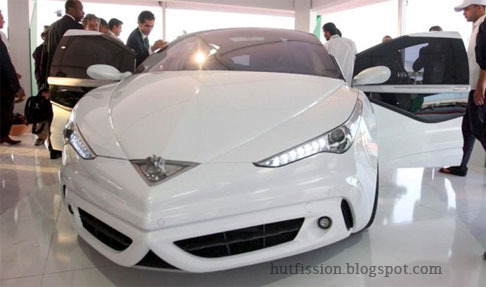 You may want to add some diamond studded rims complete with their own bodyguard if you want to make this car even safer.